Patented pressure balanced micro-air bubble diffuser made of engineered plastic and durable materials. Double end opened micro air bubble diffuser made of durable materials. Proprietary blend of special micro-organisms to accelerate retro formation of organic and other pollutants to basic elementary forms of water, carbon di-oxide and minerals. Complete designing and supply of plant and machinery STP/ETP. WAFTING DIGESTER is a floating bacteria generator that floats around on water surface on water bodies like Ponds, Lakes. Very stable in any weather condition keep generating & inculcating continually a consortium of micrograms to bio-remediate historical and present biomass waste (sludge) and maintain healthy water sustainable environment to maintain biodiversity of the water body. It can be applied for urban and country lakes, temple ponds, agricultural, industrial waste water pond. OTDS treats grey water & black water separately in primary & secondary treatments and converge them in tertiary treatment. The system functions continuously giving stable results that meet the standards set by regulatory authorities. For further info contact us…..
Industrial waste waters are complex in nature based on their origins from different stages of manufacturing and the complexity of effluent from simple to high and also their hazard & toxicity. Present treatment process of mixing the different characteristic waters create the complex nature and the whole treatment becomes tedious and prohibitively costly because of the size of the plant and assorted sludge loads. ABIL has come up with a bio technology designed with extended research experience & expertise from international renowned advisories, which is a most effective, simple in nature, low cost, low energy consuming, efficient & reliable system with output meeting consistently regulatory norms. ABIL has designed a process that treats the effluents in multiple stages depending on their different characteristics and their volumes such as from a few hundred to million litres. plant is single tank with different input of effluents located conveniently and treated primarily to stabilize to nature. This primary treatment can be multi stage micro-organism to transform or degrade the basic form of individual influent to a common form. The secondary stage treatment where bio transformation or bio remediation will set off micro-organism who will thrive to convert to elementary form. Based on the complexity, influents will be treated using consortium of bacteria in a conducive condition in isolated chambers in primary stages under a single tank. Some influents may need further stages to come to common characteristics, secondary or tertiary as required to optimize the desired results. The benefit of the Multi-Dimensional Treatment tank is single in nature with various chambers thus reducing the size of the processing tanks and all aspects operational complexity and costs. 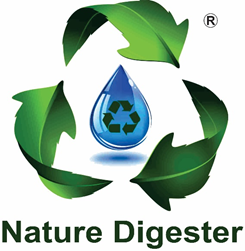 Our company has designed products that are environmentally sustainable and which suits the waste water treatment. These technological products have been tried and tested successfully and are at use in various sites worldwide. Bio remediation of domestic sewage includes grey and black water treated together and or separately. We have successfully tested proven technologies for industrial effluents. We are constantly developing Bio-remediation solutions for even applications that are on the horizon.